One of the “Small Five”! Sometimes it is a good idea to stop, get of the vehicle and have a look at the small things in life. 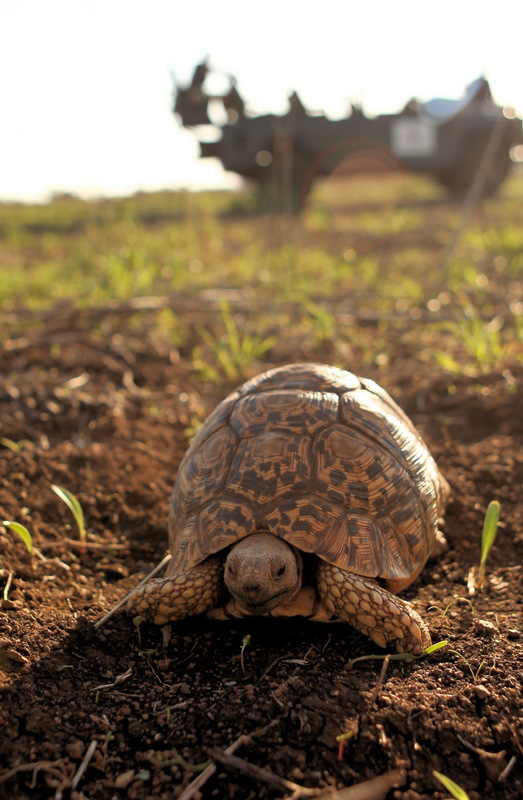 This Leopard Tortoise – one of the Small Five – was moving across the road. We got out and observed this small creature for a while. The Thanda guests on my vehicle loved the encounter. Do you know the other four “Small Five”? If yes, post them in a comment! A Buffalo Weaver…ELephant Shrew…Rhrinoceros Bettle…Ant Lion.